When a battery is getting old, or when a car has been left without starting for awhile, the battery will run down and need to be recharged. You can do this by jump starting the vehicle. 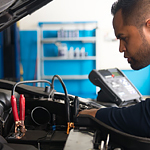 However, Select Automotive in Virginia Beach wants you to know that a good way to recharge the battery is with the aid of a battery charger. When a vehicle has been recalled, that is because a problem has been discovered which has the potential to be very dangerous. Therefore, if you have a recalled vehicle, then you are going to have to take it in to make sure that the problem is taken care of so that it can be safe. At Select Automotive in Virginia Beach, our team always takes the time to provide our consumers with information that helps them keep their vehicles in good shape. 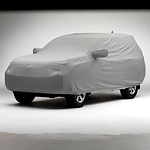 Protecting the outside of your vehicle by using a car cover is important for a number of reasons. A truck bed liner can help protect the integrity of the bed of your truck and ensure that it continues to work just as hard as you do. That is why we here at Select Automotive wanted to make sure that you are fully informed about the two main types of truck bed liners. The truck bed is an area where you can store a variety of items. If you cover it, you'll gain a few helpful benefits. 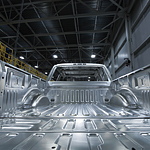 However, you should think carefully before modifying your truck's design because a truck bed cover can make some tasks somewhat challenging. 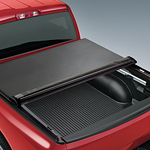 When a truck bed has a cover, all items underneath it are totally protected and secured. If the bed bounces after the tires on a truck roll over an obstacle, the items underneath a cover won't fly in the air and land on the road. No one wants to be stranded with a vehicle that won't start. You may be trying to leave for work or to perform an errand, or you might find yourself stranded at a parking lot. Whatever the event, this is not a scenario you want.